Create a nice, shady spot to enjoy in your home or business with one of our gazebos! 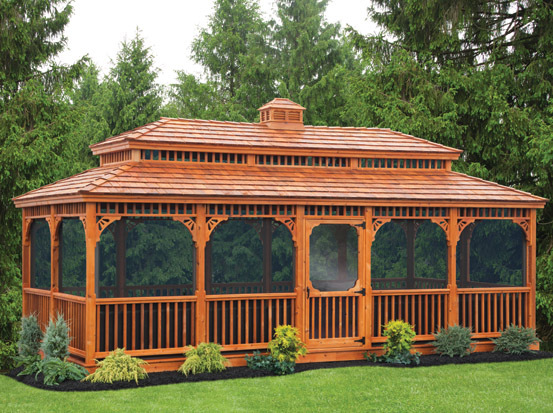 With gorgeous roofs, these gazebos add great visual interest to your yard while protecting you from rain or sun. With a variety of styles available we can find one to match your needs and the look of your home. Before ordering, swing by our Johnston location or give us a call at 401-228-3995. We will walk you through the process of finding just the right gazebo for your needs. Once you have made your selection, John or Bob will go out to your site to make sure that your space allows for perfect placement of your new gazebo. 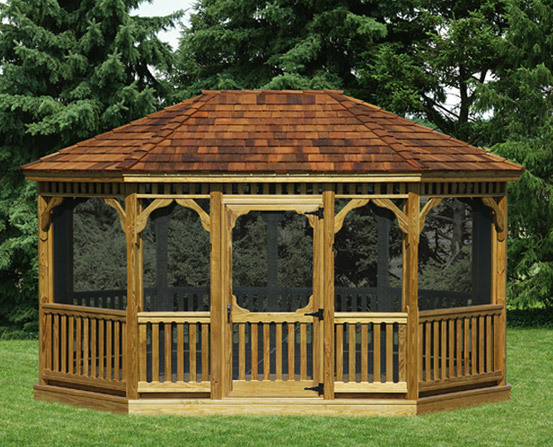 All of our gazebos are American made and carry a 10 year structural guarantee so you never have to worry about the quality of your new shed.